In four of the most prominent disciplinary decisions of his career, NFL commissioner Roger Goodell’s chosen punishments were overturned. By Paul Tagliabue in Bountygate, a neutral arbitrator with Ray Rice, and a federal judge with Adrian Peterson and Tom Brady (currently being appealed). It is understandable, then, that the players want to strip Goodell of his power to levy punishments. And while the CBA doesn’t expire until after the 2020-21 season, discipline is such a high-profile issue that the NFL and Players Association are currently engaged in negotiations over it. While the public back-and-forth is interesting and provides a window into the discussions, ultimately I’m not sure that it matters all that much. 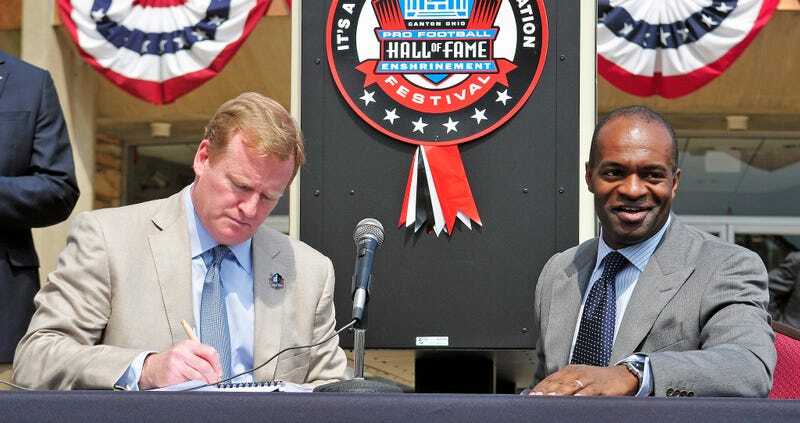 The CBA doesn’t expire for another five years, and there is nothing the NFLPA can do if the owners are content to allow Goodell to continue as judge, jury, and executioner, with the frequent and frequently embarrassing reversals by arbitrators and judges that come along with that. The negotiations will come down to the same thing they were always going to come down to, which is the NFLPA giving up something of enough value that it is worthwhile to the league to reopen the CBA when they don’t have to and cede authority to a third-party. And for the power-drunk Goodell to agree to that, it’ll have to be a hell of an offer.